MThe women’s basketball team will return home from the European Championship for Small States with a medal around their neck after defeating Norway 67-59 in a bronze medal play-off in Cork, Ireland. Enrico Gilardi’s girls seized control of the match from the outset when they raced into a 25-9 lead by the end of the first quarter. The Norwegians struggled to match the quality of Malta’s play and at the interval they were trailing by 14 points as Gilardi’s team led 33-19. When ends were changed, Norway stepped up their game and managed to reopen the match as the entered the last quarter just six points behind 47-41. 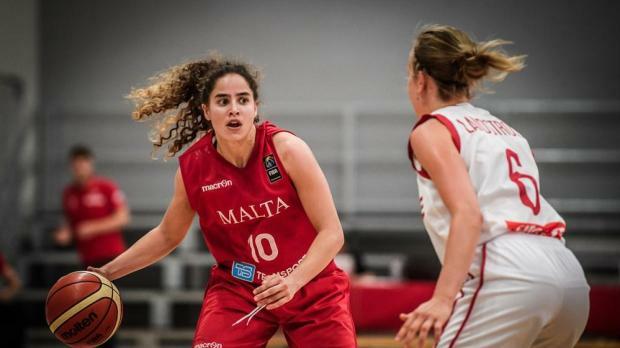 But the Maltese girls, spearheaded by their leading scorer Sam Brincat with 26 points, never lost their composure as they cruised home to a deserved medal.